You are here: Home / General / PMBOK Guide Sixth Edition has arrived ! 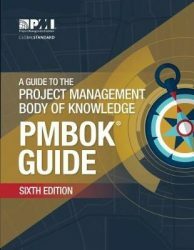 PMBOK Guide Sixth Edition has arrived ! According to PMI the PMBoK Guide Sixth edition is published in September 2017 and the PMP Exam changes in 2018. The sixth edition of A Guide to the Project Management Body of Knowledge (PMBoK® Guide) has arrived …is it time to panic? 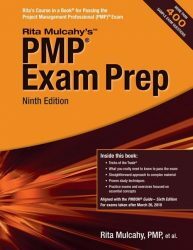 How important is it to write the PMP exam based on the PMBOK Guide Fifth edition? Approximately every five years, PMI is publishing a new version of the famous PMBoK® Guide. The current one – PMI PMBoK Guide Fifth Edition – was published in 2013. PMI PMBOK Guide Sixth Edition is available NOW ! PMI PMBoK® Sixth Edition is released to the public in September 2017. Traditionally, there is a six- to nine-month grandfathering period when the exams will continue to be focused on the fifth edition. This equates to the exam probably not changing until mid-2018! There is ample opportunity to thoroughly prepare for the exam. We will provide updated course materials in due time. Each version of the PMBoK® Guide builds on the one before. It is more evolutionary than revolutionary. The fifth edition enhanced the use of consistent process wording and added one additional knowledge area. As a result of the addition of stakeholder management, there were a number of “inputs and outputs” created—and others had to be remapped. The other nine knowledge areas remained mostly unchanged. The preliminary chapters marginally evolved but, for the most part, remain much like the fourth edition. The overall look and feel is the same, and the formal approach to project management thankfully remains in place. Any learning that has been achieved while taking courses based on the fifth edition will remain valid; some minor changes (“Control Risk” will now be called “Monitor Risk”), but these will be easily absorbed. PMP Exam update to PMBOK® Guide 6 will happen in Q1 of 2018 (possibly as early as January 2018). However there will probably be a grandfathering period of six to nine months allowing to still take exams based on the fifth edition. 9) The Earned Value tool kit supported by the PMBOK® Guide will now include “Earned Schedule Management”.